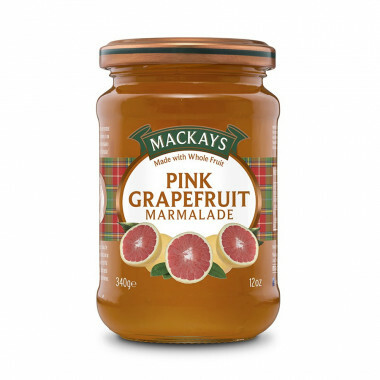 This is Mackays new recipe, pink grapefruit, different and addictive! Pink grapefruit marmalade, different from traditionnal winter fruits. 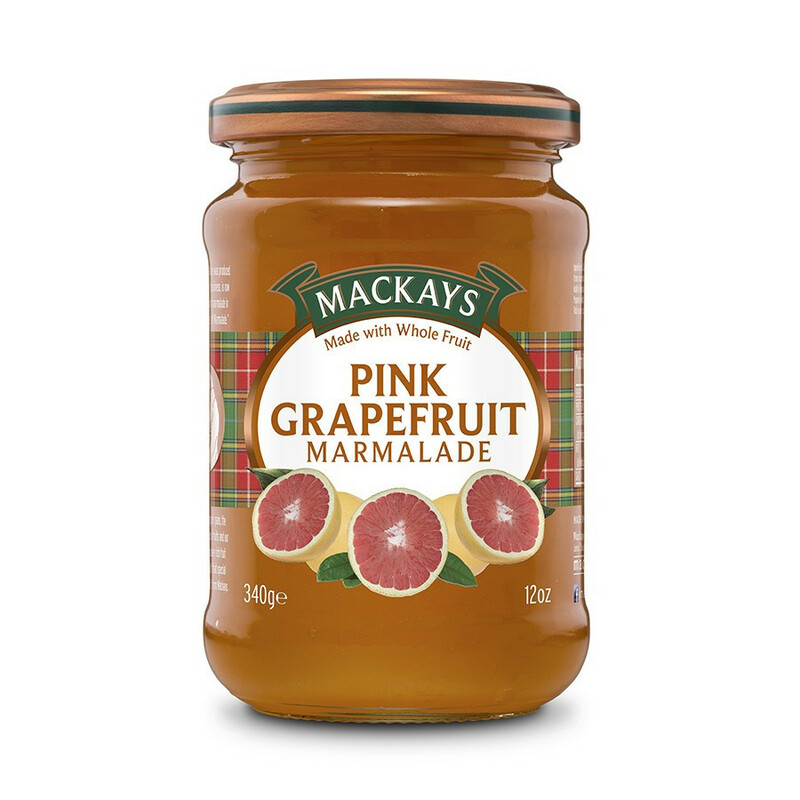 Grapefruit is a spring summer caller, perfect to enjoy under a morning sun for breakfast. Ingredients : sugar, pink grapefruit, lemon juice (from concentrated), gelling: fruit pectin, acidity corrector: citric acid, orange oil.